As a facilitator, trainer and public speaker, Nahla has worked with leaders and teams to manage change and establish effective communication strategies to help them become high performing teams. In her coaching practice, she guides her clients in making sustainable behavioral changes using practical tools that build self-awareness, manage emotions and communicate effectively to achieve positive impact. Nahla obtained her coaching certification through Coach U and Emotional Intelligence certification through MHS. 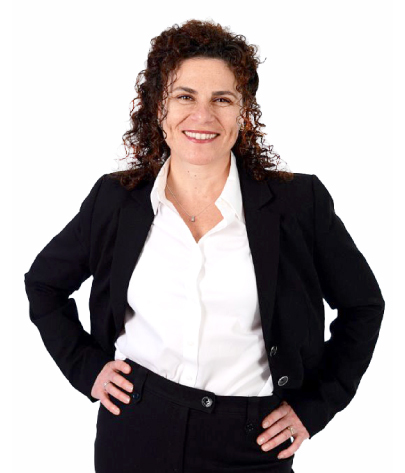 She is instructor-certified in several training programs including change management, emotional intelligence, conflict resolution, negotiation skills, presentation skills and social styles. Nahla received her Bachelor of Commerce Degree from McGill University in Montreal in 1986 and her Training and Development Certificate in 1998 from Ryerson Polytechnic University. To help organizations build leadership capacity and maximize employee effectiveness using innovative training, facilitation and coaching techniques. We are committed to staying current in our consulting practice and consistently bring our brightest ideas and processes to facilitate discussions that achieve breakthrough thinking. We build long-term relationships with clients based on open and honest communications. That frequently means having courageous conversations when necessary to resolve workplace issues. We love our clients and are passionate about helping them achieve their organizational goals. We know it takes trust and vulnerability to invite us into their world which inspires us to do our best work every time.